Prime Building Advantage has expanded into the central Pennsylvania market to direct sales and marketing for the Gettysburg-based builder, High Performance Homes. Prime Building Advantage will lead the sales and marketing for High Performance Homes; including the new construction homes in the exciting resort-style neighborhood community, the Links at Gettysburg. The neighborhood, located eight minutes from downtown historic Gettysburg, offers more than 40 custom build lots and condominiums for immediate purchase, with more than 250 in the near future. Customers interested in custom homes can select their desired lot and opt for an energy efficient High Performance Homes design. High Performance Homes is the leader in high performance energy home building. The company is a U.S. Department of Energy 2016 Housing Innovation Award winner and a Mid-Atlantic custom builder of sustainable, zero energy ready homes. Their homes allow owners to significantly decrease their energy costs and improve their overall health and well-being. High Performance Homes also offers customers the opportunity to build their custom home on their own lot. 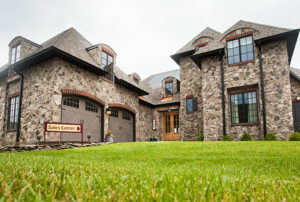 High Performance Homes has adopted the use of innovative geothermal and Solar Shingle energy production, state-of-the-art air filtration systems, and effective energy-saving building techniques for homeowners looking to reduce their carbon footprints with the benefit of reduced energy bills. For more information, visit www.hphpa.com or contact Charlie Hatter at chatter@primebuildingadvantage.com or Shawn Evans at sevans@primebuildingadvantage.com.